With an endless of amount of hearty food, professional sports and outdoor recreation, Cleveland serves up big, bonding portions of macho fun for fathers and sons. 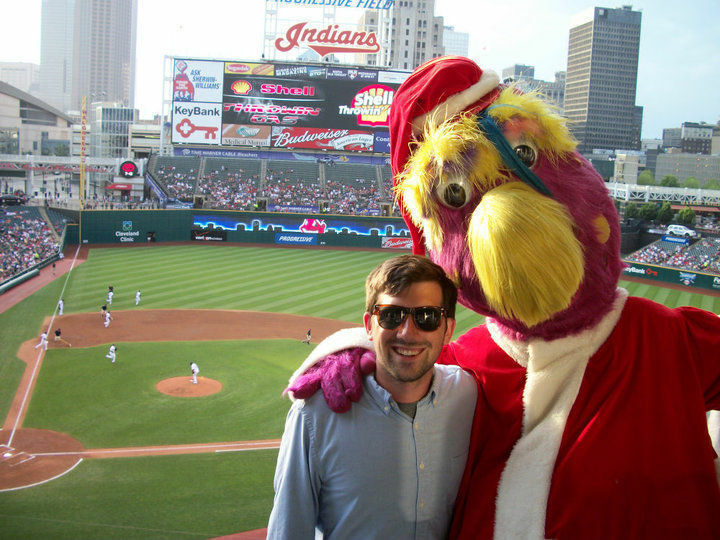 No longer does Cleveland warrant your extensive lists of mean-spirited nicknames. An urban renaissance that’s been sweeping though the city over the last few years has transformed the “mistake on the lake” into one of America’s premier cities. On a recent visit I experienced first-hand the developing abundance of recreation and dining options that make Cleveland a great family getaway; specifically for fathers and sons who are looking for a chance to connect over a few beers and a long weekend. Forget New York and San Francisco and come to Cleveland – America’s new foodie mecca for men. Following in the footsteps of hometown celebrity-chef Michael Symon, Cleveland’s chefs are unabashedly revisiting their roots to cook up inspired meals that are both hearty and unpretentious, a combination with serious appeal for fathers and sons. Without question, our favorite meal was at Melt Bar and Grilled in Cleveland Heights. Here, Chef and owner, Matt Fish has assembled a hugely popular menu of gourmet grilled cheese sandwiches that has garnered a cult of followers, many of whom sport Melt tattoos which guarantees them a 25% lifetime discount. Now maybe these people never got the lecture on the permanence of tattoos from their mothers but honestly, we don’t see this place closing up shop any time soon; in fact a third location is already in the works. On a recommendation from our waiter, I went with the classic “Parmageddon” – a behemoth grilled cheese that is stuffed with two potato and cheese pierogi, fresh Napa vodka kraut, grilled onions and cheddar cheese. Not only was my sandwich delicious, but the restaurant’s rock and roll dÃ©cor and come-as-you-are attitude drew smiles from every table. 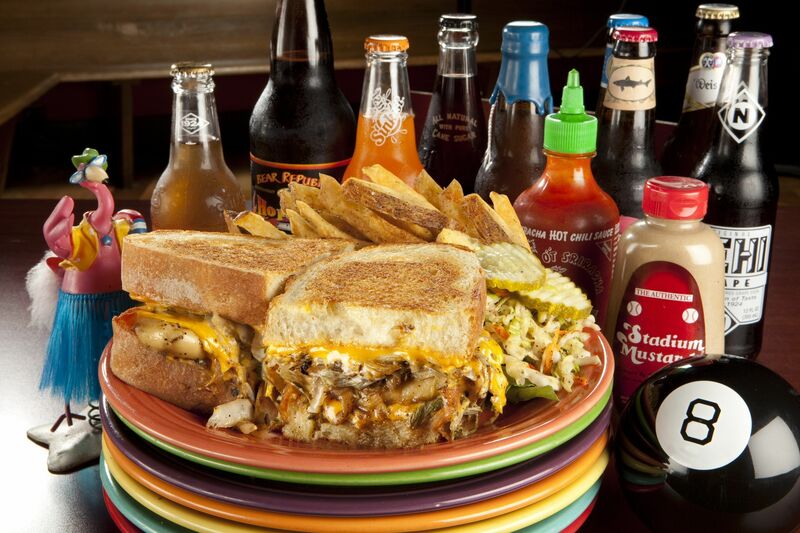 The original Melt Bar and Grilled is located in Lakewood, Ohio. Melt is typically filled to capacity so we suggest arriving early. If you are visiting with a recent college graduate or a newly turned 21-year-old, then consider sampling Cleveland’s awesome collection of breweries. Lose your lawn-mower lagers for the City’s local brewers that promise more taste and a wider variety. We first checked out Fathead’s Brewery where we took a crash course in small batch beers. We agreed that our college courses never left us feeling so good and settled on a pint (or two) of Headhunter IPA. Next we headed over to the Great Lakes Brewery in downtown Cleveland for yet another sampling of excellent micro brews; all of which are named after historic occurrences in Cleveland – the Burning River Pale Ale being my favorite. Not only is the beer made on-site, but the ingredients that go into every hearty dish on the Great Lakes menu are all grown organically on the nearby Pint Size Farm. If you plan on eating at Great Lakes before heading over to a Cleveland Indians game, take advantage of the brewery’s free, eco-friendly shuttle that runs from the brewpub to Progressive Field (formerly Jacob’s Field or The Jake) on game days. Nicknamed the “Emerald Necklace” because of the way they encircle the city, Cleveland’s Metroparks offer a variety of outdoor activities on over 28,000 acres of public recreational space. Here you will find an assortment of multi-purpose trails, fishing areas, and even seven public golf courses. On the second morning of our trip we enjoyed nine holes at the Sleepy Hollow Course on Brecksville Reservation. While there were a few challenging holes, the staff at Sleepy Hollow was helpful and not only accommodated but welcomed novice and junior golfers. For more information and a Metroparks calendar of events, visit Cleveland Metroparks online. For fathers and sons who crave speed, consider hitting the water with jet skis from Great Lakes Watersports on the Cuyahoga River. During our hour-long session we rode through the Port of Cleveland for priceless views of the Rock Hall, Browns Stadium, and Cleveland skyline. As this was my first time riding a jet ski, the staff at Great Lakes Watersports made sure to give me a detailed run-through on how to operate the machine. For one hour I avoided collisions, lightning and stayed afloat enough to enjoy the waters Lake Erie before bringing the Jet Ski back in one piece. For 2010, rentals are $85/hour Monday through Thursday and $95/hour Friday through Sunday. In addition to Jet Skis, Great Lakes also offers boat and kayak rentals. For more information or to arrange a rental call 216/771-4386 or visit Great Lakes Watersports. Despite being voted “America’s Most Heartbreaking Sports City” by ESPN, Cleveland’s sports fans fill their venues and bring an enormous amount of passion to every game. The city is home to the Caviliers, Browns and Indians, making this city a major hub in the world of professional sports. Finding ourselves in Cleveland during baseball season, we had to cheer on the Indians at Progressive Field. Even though the Tribe lost, the scent of Hot dogs and peanuts that filled the summer air was enough to keep us smiling under the lights of one of America’s most beautiful baseball cathedrals. Arrive early for batting practice and you’ll find players along each baseline signing autographs and interacting with young fans. To see a complete schedule and to purchase Indians tickets, visit the Cleveland Indians online. If you are visiting during basketball season be sure to head over to Quicken Loans Arena for a Cavilers basketball game. After the painfully public departure of Lebron James, Cavs tickets should be a little easier to come by this upcoming season, unless of course you plan on seeing the Cavs go head to head against Lebron’s new team, the Miami Heat. Contributing to Clevelander’s high blood pressure is the Cleveland Browns football team. Even though their performance is about as choppy as Lake Erie, fans still pack the beautiful stadium to root on their beloved Browns; even in subzero temperatures. To see the Browns’ official schedule and to purchase tickets visit the Cleveland Browns online. For football nuts coming to Cleveland in the off-season, consider taking a Browns Stadium tour. On this one of a kind, behind-the-scenes tour you will be granted exclusive access to team locker rooms, media boxes, and even the playing field. Tours are given from April through August and are only $5/person. To arrange your Browns Stadium tour, please call 440/824-3361 or email tours@clevelandbrowns.com. Join the thousands who venture every year to the Rock and Roll Hall of Fame and pay homage to the gods of Rock. Dads, you’re in luck. The music you listened to growing up is just as popular today with youngsters as it was when you young. Don’t believe me? Just ask the dozens of wide-eyed kids we saw singing along to Bruce Springsteen’s “Born to Run” as they wandered through the halls newest exhibit: From Asbury Park to the Promised Land – an incredible display of Springsteen memorabilia that chronicles the Boss’s journey from humble beginnings to icon status. When you spot Jerry Garcia’s guitar collection, take a second to tell your son about that time you followed the Grateful Dead around on tour for a month. Trust me; he’ll think you’re cool; just as long you don’t divulge too many details. 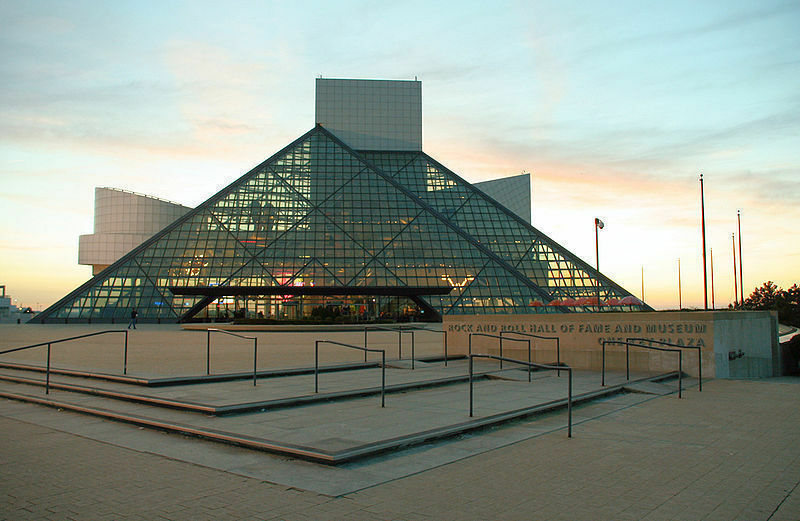 For more information visit the Rock and Roll Hall of Fame online or call 216/781-7625. Guys, there may not be much that separates us from what you’ll find at the Cleveland Metroparks Zoo and Rainforest but after visiting their six authentic habitats that house hundreds of animals, you’ll at least leave Cleveland having learned something right? New to the Zoo in 2010 is The Scoop on Poop – an exhibit that tactfully plays on curiosity and humor to analyze the fascinating world of feces. With a three-dimensional models and a scale that determines how long it would take for an elephant to defecate your body weight, we’re pretty sure that the girls won’t feel too left out. The action doesn’t stop at Cleveland city limits. If you’re in town during late July, make the 50-minute trip south to Akron, Ohio for the All American Soapbox Derby. Since 1934, contestants and their families from all over the world have descended on Derby Downs for a week of exciting Soapbox racing. The atmosphere is competitive but amicable and not to be missed. Who knows? Maybe you and your son will be inspired to build your soapbox! 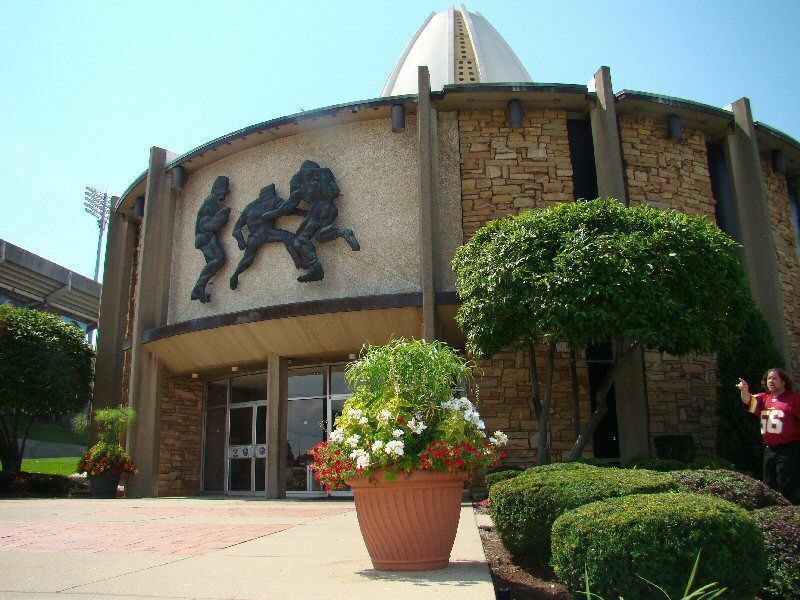 Just a half-hour south of Akron is the Pro Football Hall of Fame in Canton. Spend an afternoon learning about the history and heroes of pro football with the hall’s impressive collection of interactive displays and iconic artifacts that include the Vince Lombardi Trophy. At the heart of the Pro Football Hall of Fame are the solemn rows of lifelike inductee busts; a mesmerizing sight for football fans of any age. Admission is $20 for adults, $14 for children 14 and under and free for children 5 and under. After your visit to the Pro Football Hall of Fame, head on over to nearby Massillon, Ohio for a burger at Menches Brothers Restaurant. As legend has it, Frank and Charles Menches “invented” the hamburger when they ran out of pork for their sausage patty sandwiches at the 1885 Erie County Fair. Being the savvy businessmen they were, the two resorted to a mixture of beef, coffee grinds and brown sugar — the rest was history. Today, Menches is owned and operated by direct decedents of Frank and Charles and they still use the original 1885 recipe. The burgers here are both tasty and timeless so skip the golden arches and head straight to the source. Cleveland has plenty of hotel options that meet everyone’s budget. We stayed at the downtown Radisson Hotel Cleveland Gateway (216/377-9000). In addition to clean rooms and an accommodating staff, we were within walking distance of downtown Cleveland’s big attractions including East 4th Street, a fantastic collection of original bars and restaurants that really start to buzz after the sun sets. For 2010, rooms at the Radisson start at around $120/night and include complimentary breakfast.